4You can Have a Stylish Wine Room in a Small Space. Contact a Specialist. In 2007, many people lost their homes because of the wildfires in San Diego, California. A couple, who were victims of this tragedy, approached Vintage Cellars to help them build a wine cellar that would store their new collection. They needed to bump out a wall in the kitchen to add space to the tiny room on the second floor. Find out the turnkey solution for this project. Vintage Cellars, one of the trusted builders of home wine cellars in California, has been in the industry since 1990. They design and install custom wine rooms that fit their client’s budget and space. Since every customer’s needs are unique, they always use their creativity, passion, and expertise to design and build the perfect wine storage facility for each collection. In this room conversion project, they had to work with the architect of the couple’s house. The design team encountered some challenges, including the limited space and the visible support beam on the left wall of the room. The clients also had their own requests for the racking design and material. They wanted their wine cellar to be installed on a limited area on the second floor of their home and to create a classic appeal using wooden wine racks. Despite these challenges, Vintage Wine Cellars were able to come up with an excellent design for a small wine storage room. Lack of space is a common problem faced by wine room builders, including Vintage Cellars. This issue did not stop them from completing the installation of the couple’s wine cellar. 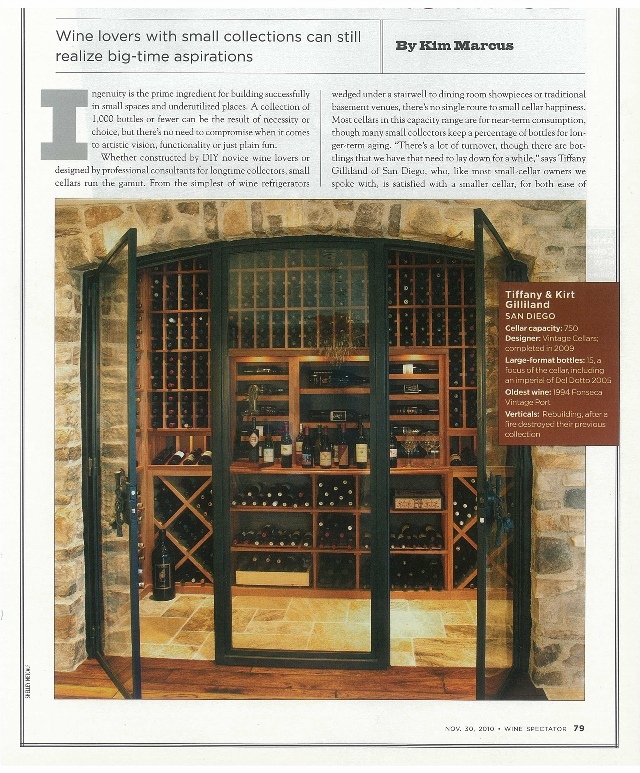 The design team of Vintage Cellars reviewed the construction plans and found a solution that could add space to room. They bumped a wall out of the kitchen to create additional space (80 square feet more) for the wine room. The room was 11.5 feet wide, 4.5 feet deep and 8.5 feet high. They also maximized the space by combining various racking styles. The wine cellar can accommodate 750 bottles in total, with enough space to move around in. Vintage Cellars decided to conceal the support beam that goes up to the roof. They covered the beam with a piece of Redwood Fascia (the same wood used in the wine racks), to achieve a clean look and complement the whole racking. After framing the room, Vintage Cellars installed the room insulation and vapor barrier, which are essential components in achieving the right environment in California home wine cellars. 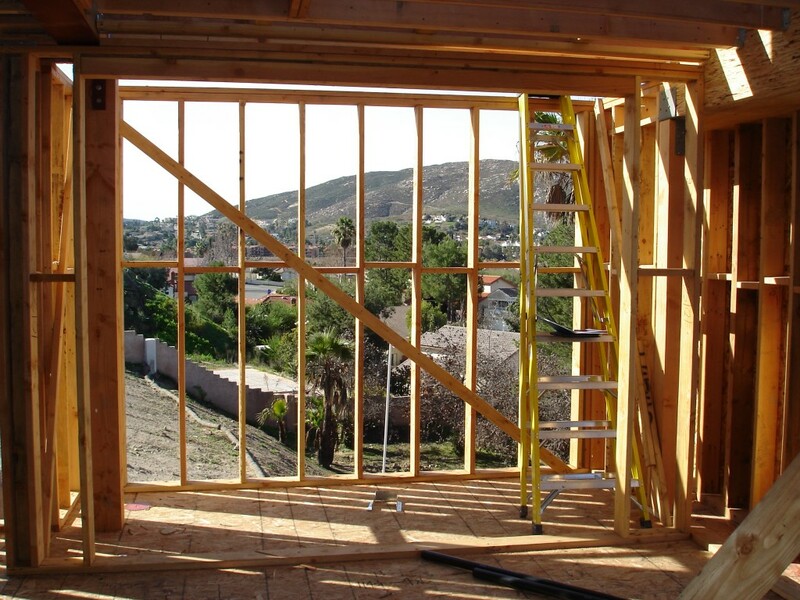 Without the proper insulation and a vapor barrier, there will be temperature fluctuations. Temperature must be maintained between 55-65 degrees Fahrenheit. Too much heat can cause the cork to shrink. When this happens, an unwanted amount of oxygen can pass through it and mix with the wine. The chemical properties of the wine will be altered, resulting in spoiled wine. Humidity levels must be within 60-70 percent. Humidity higher than the normal range can trigger mold growth, which can damage the cork and the wine. 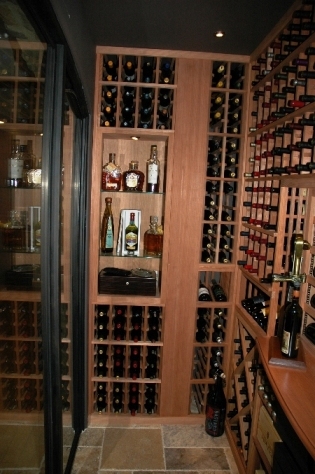 Another advantage of sealing the wine room is that the owner can save energy and prevent breakdowns of the cooling unit. In this project, the flooring had to be insulated too because the room is located on the second level of the house. The wine cooling system also plays a vital role in the aging process of wine. Every wine cellar needs the right size, type, and capacity of refrigeration unit. Vintage Cellars used a 3600 BTU Rack Mounted Coil by LRC for this small wine cellar. The unit was concealed in a wooden grill on the right wall. 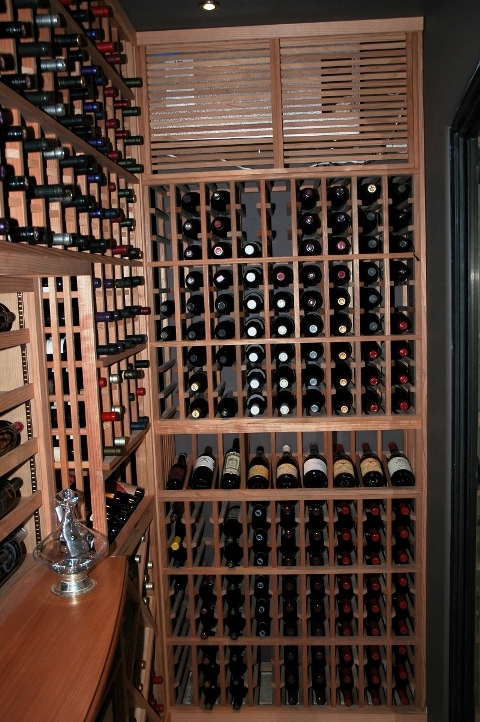 Check out other wine cooling systems recommended by an expert for residential wine cellars. At Vintage Cellars, one of their goals is to create an elegant wine display, regardless of the room’s size and shape. When designing wine racks, they always take into account all of the functional and aesthetic requirements of the owner. They allow customization options to achieve a unique racking system. The clients can incorporate their own design to add a personal touch to the wine room. 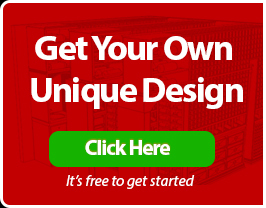 The racking material can be the owner’s choice or a recommendation from the builder. 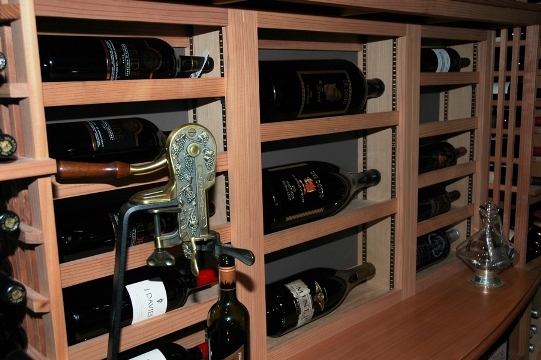 In this case, the wine racks were constructed from Redwood, as requested by the client. Redwood is highly resistant to rot, shrinking, mildew, and warping. It has the ability to withstand the humid conditions that can develop in California wine cellars. The left wall is where the support beam is. Both sides of the beam consist of individual bottle storage racks. Vintage Cellars added a 3-level display area for the client’s whiskey and scotch bottles. The lowest shelf is a cigar humidor. Above this display area is an LED light, which highlights the client’s favorite bottle of wines. The back wall consists of various styles of wine racks including the horizontal display rack at the center of the racking. This area is intended for storing 3-5 liter magnum bottles. Other large format bottles can also be placed in the display rack because the shelves are adjustable. Below this display rack are both the standard and half-case storage racks. There are diamond bins on the left and right sides of the back wall. The top section has wine storage slots for individual bottles. Vintage Cellars added an eye-catching rounded tabletop above the case storage. It provides an area for decanting and serving wine. A few bottles and accessories can also be displayed on the tabletop. The top of the right wall is where the cooling unit was installed . The rest of the racking has openings for single bottle storage. A high reveal display row was added in the middle section. You can Have a Stylish Wine Room in a Small Space. Contact a Specialist.